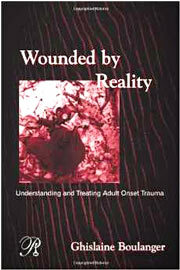 Wounded by Reality: Understanding and Treating Adult Onset Trauma – Ghislaine Boulanger, Ph.D.
Psychoanalysis in a New Key Book Series, Volume 6, 0-88163-430 • 225pp. When catastrophic events overtake adult lives, they often scar the psyche in ways that psychodynamically oriented clinicians struggle to understand. For Ghislaine Boulanger, the enormous challenge of working with these patients is unsurprising. Survivors of major catastrophe — whether a natural disaster, a life-threatening assault, a serious accident, or an act of terrorism — experience a near-fatal disruption of fundamental aspects of self experience. The sense of agency, of affectivity, of bodily integrity, the capacity for self-reflection, the sense of time, and the ability to relate to others – all are called into question. And the questioning persists long after the crisis has passed, leaving many adults who have endured catastrophic trauma uncertain that they have psychologically survived their ordeal. The culmination of three decades of studying and treating survivors of adult onset trauma, Wounded by Reality is the first systematic attempt to differentiate adult onset trauma from childhood trauma, with which it is frequently confused. 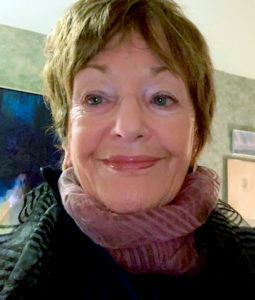 Integrating recent findings in the neurobiology of stress and developmental psychology with relational psychoanalytic concepts, Boulanger provides psychodynamically oriented clinicians with a comprehensive guide to recognizing the symptoms, understanding the psychodynamics, and working productively with these individuals. Extensive clinical material attests to the difficulties as well as the clinical promise of this demanding work. Or online from the publisher’s site and Amazon.com.